How the index is calculated? India & SAARC countries in World happiness index. The United States fell to 18th place from 14th last year. Every year since 2012, the United Nations (UN) has published something called the World Happiness Report. 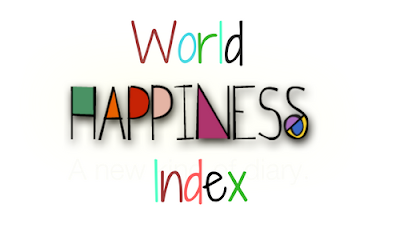 This index ranks most of the countries of the world on the basis of their happiness levels. How the World Happiness Index is calculated? How the report is different from previous reports? When compared with previous happiness indexes, the annual report published by the U.N. Sustainable Development Solutions Network this year also evaluated 117 countries by the happiness and well-being of their immigrants. India slipped 11 places as it was placed 122nd last year, which was a drop from 118th rank the preceding year. For the past few years, India’s rank in happiness index is falling gradually. As per recent happiness index among the eight SAARC nations, Pakistan was at 75th position, Nepal stood at 101, Bhutan at 97, Bangladesh at 115 while Sri Lanka was at 116. India’s other neighbor, China, stood at 86th spot. Madhya Pradesh and Andhra Pradesh had created a ‘ministry of happiness’ in 2016 and 2017 respectively. Which of the following organization publishes World Happiness Index? What is the rank of India in World Happiness Index-2018? On which of the following dates, International Day of Happiness is celebrated?